“La-la-la-la-la-la, sing a happy song. La-la-la-la-la-la, Smurf the whole day long!” A song that generations of fans have come to love and with a little sprinkle of magic dust, South African audiences will soon be transported into the magical world of colourful mushroom houses and little blue people when THE SMURFS LIVE ON STAGE – SMURFS SAVE SPRING takes to the stage from the 13th to the 30th July 2017 at the Theatre of Marcellus at Emperors Palace, Johannesburg. Your favourite Smurfs characters including Papa Smurf, Clumsy Smurf, Brainy Smurf and the adorable Smurfette will be coming to South Africa – for the first time ever – to transform the Wintery breeze into a colourful Spring (the Smurfs’ favourite time of the year). 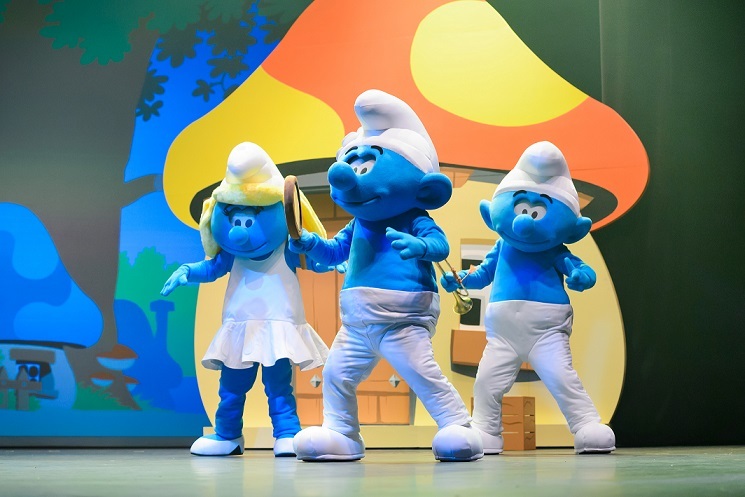 THE SMURFS LIVE ON STAGE is a magical adventure that will see the Smurfs battle Gargamel and save Mother Nature, showing the power of family and true team spirit. Fans alike can get ready to cheer the Smurfs as they come to life on the grand stage with life-size mushroom-shaped forest houses, vibrant backdrops and wonderful sing-along music. Created in 1958 by Pierre Culliford (fondly known as Peyo), the Smurfs have come to be one of the most loved cartoon characters around the world, especially after the launch of the animated cartoon series in 1980. Spanning over three decades, the series was produced by Hanna Barbera and with 272 episodes (dubbed into 40 languages) under its belt, it has enjoyed top ratings in more than 100 countries. Millions of Smurfs DVDs continue to be sold worldwide and recently a new milestone was achieved with the creation and release of the Smurfs 3D movies – the first in 2011, second in 2013 and most recently, the release of the 3D animated adventure-comedy, The Lost Village. 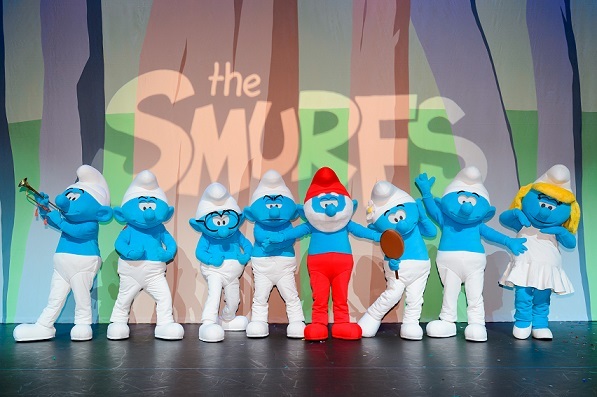 A ‘Smurftastic’ time awaits - don’t miss THE SMURFS LIVE ON STAGE – SMURFS SAVE SPRING in their 90-minute show at the Theatre of Marcellus at Emperors Palace, Johannesburg for a limited season from the 13th to the 30th July, 2017. Tickets available from R150 per person. Bookings available through Computicket or the Emperors Palace Box Office on 011 928 1297/1213 or visit www.emperorspalace.com. The show times are 10h00, 14h00 and 18h00. Emperors Palace is located at 64 Jones Road, Kempton Park.